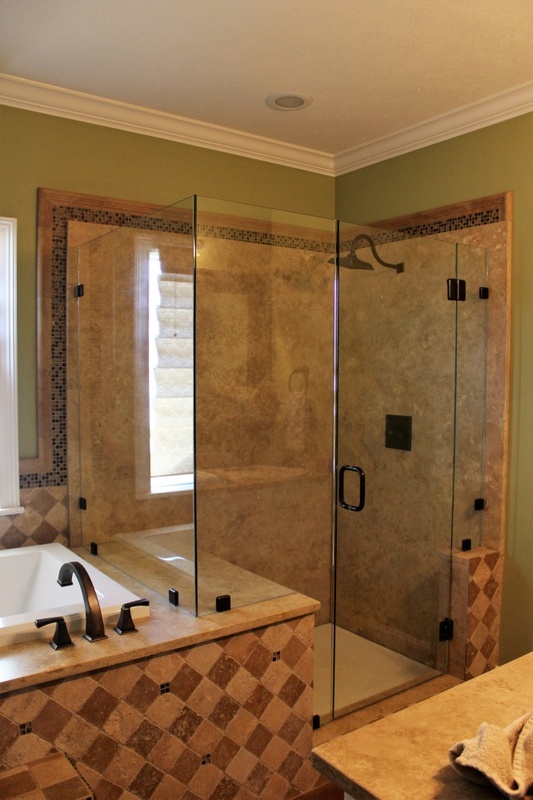 Jackson, MS Custom Shower Doors | Quality Glass Inc. | Quality Glass Inc. In the long run, a shower door installation can save you money, upgrade an important fixture and create the look of a new bathroom. Replacing a shower curtain system is always a good idea. Shower curtains leak water onto the floor. It’s hard to imagine an enclosed shower with a door leaking. In addition, a shower door is easier to maintain than a shower curtain. While grunge collects at the bottom of a shower curtain, a shower door cleans up easily. While you replace your shower curtain often, shower doors never need replacing and last for decades. And there’s one more reason you might want to get rid of the shower curtain and have a custom shower door installed: Shower doors keep the heat and steam in much better than curtains, which makes for a more satisfying shower! A shower door installation is an easy job. 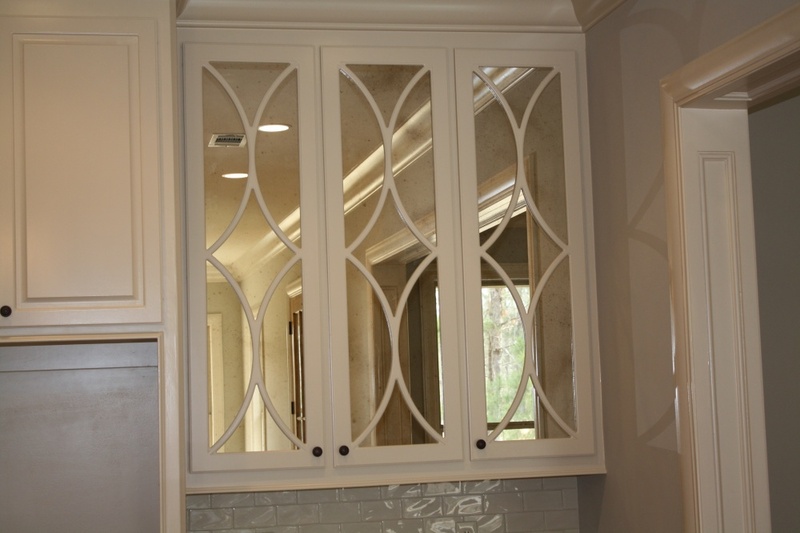 Framed enclosures can be installed by a professional in two hours or less. A frameless installation is a trickier, but it’s less than an eight-hour project. Tempered glass is a revolutionary item that has made shower doors safe and secure during the worst accidents. Tempered glass breaks into small, harmless pieces that don’t present the danger that regular glass, such as a broken jar, might. Today’s shower door glass is both beautiful and safe. In fact, the law requires tempered glass be used in glass shower door and glass enclosures so there’s never much of a worry about breaks. a significant number of styles and varieties available to our customers. An everyday clear glass is a common choice, but a shower door with colored or textured glass can really add to your bathroom’s decor and the privacy of your shower. The ultra-clear glass is an expensive variety of shower door with many of the imperfections found in standard glass removed. It’s pricey but those who truly love clear glass will pay the extra money. The frosted glass jazzes up the clear glass with industrial pitting and finishing that creates a beautiful translucence to the glass. The rain glass is a dreamy rendering of glass that gives it the appearance of falling rain, so it fits a shower well aesthetically. It’s used all over the house in surprising ways, but in the bathroom, it fits like a glove. The bronze glass is tinted glass that creates a reflective surface. 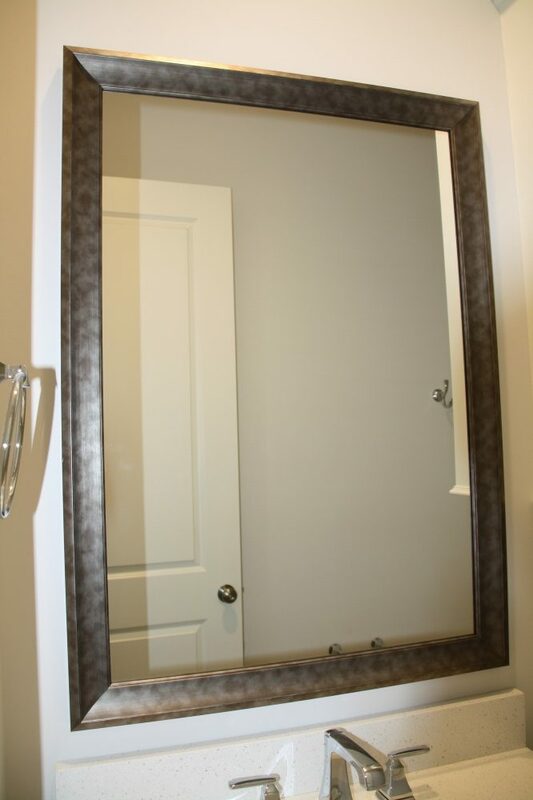 It works great in many bathroom designs and can enhance modern fixtures. Finally, the gray glass is similar to bronze glass, but it may appear a bit smokier, and it’s not unusual to see it used as a table top in modern designed furniture. It comes in a tempered glass when used in shower doors. When designers combine the varieties of glass and interior surfaces there are countless combinations of shower door designs, but to simplify things, let’s say that shower doors generally serve four basic designs: Square, rectangular, corner and round showers. Amazing door designs come from these showers. 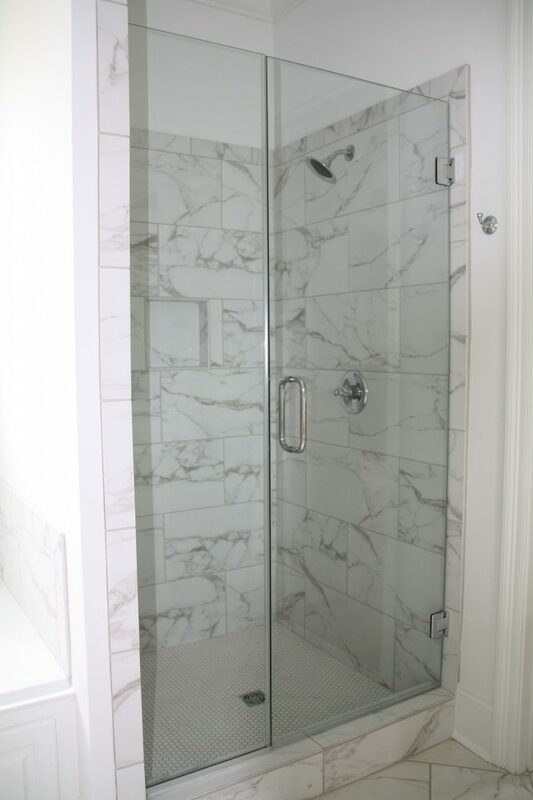 For example, niche showers can be a modified square or rectangular shower with a clear glass door in a frame. On the other hand, Frameless showers can assume a circular shape. Glass shower doors can be rendered in almost any design and look spectacular. The convenience of a shower can be combined with significant styling and impressive materials to create fascinating showers doors. The devil is often in the details when it comes to design. When you generate your wish-list for shower door design, consider the whole unit. Ask yourself, how far away from the wall do you stand when you shower every day? Will this help you know how to answer the important questions to get an exceptional shower enclosure and door? How do you use a towel after showering? What is the most convenient place to put a towel rack in terms of ease of use and convenience of location? Do you like to prop a foot on an elevation in the door to dry it off? New features for elderly people raise questions about a new shower door and include the placement of grab bars, the location of seating or the presence of special doors. How can the design of the shower incorporate everything new? On the other hand, a growing family of five will need a big linen closet. Should it be near the new shower door? A couple with a new home may want to streamline the bathroom for simplicity and ease of use and prefer a shower door to accomplish this. Remodeling projects focus on bathrooms much of the time, second only to kitchen remodeling, and create the perfect time to reconstruct the shower, modify your shower door or simply replace the old one with a new door. Some remodeling projects allow the movement of fixtures around in the bathroom so the shower spigot, handles and drain system can be completely relocated. 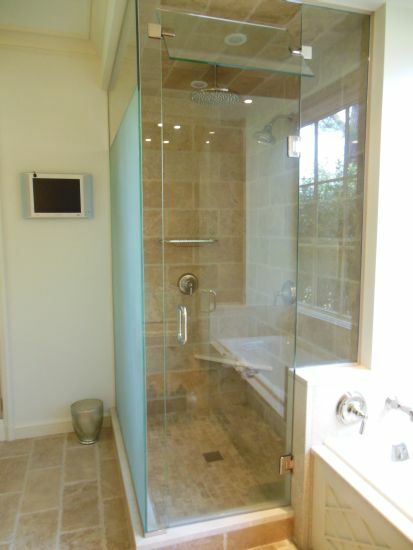 This type of remodeling allows for optimum changes in the enclosure and door of the shower. On the other hand, simpler bathroom renovation jobs simply replace the shower door with something new in the existing space. This type of remodeling job is usually less expensive and takes less time and effort. 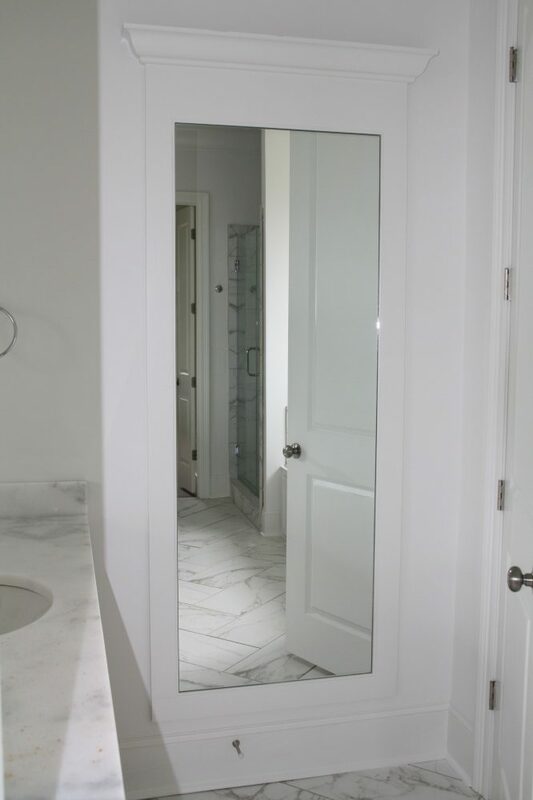 The remodeling decisions concerning shower door design are determined by personal preferences, and the choices are often dependent on a budget. If you prioritize everything in your range of choices, it’s just a matter of matching preferences to budget, finding funds and working with a contractor you can trust. Custom showers are a great item for the imagination. You can customize a shower right down to the smallest detail like hot and cold valves you turn on in the morning. 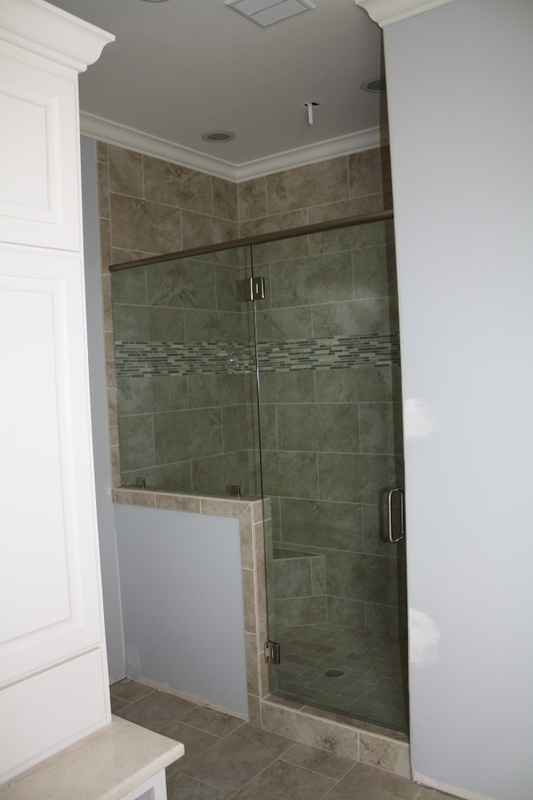 Exciting combinations of tile, colored glass and stone have found their way into custom showers, and the addition of a matching shower door is important. Whatever else you may think of the rest of your bathroom, a new shower door is a significant improvement that instantly upgrades the look of your bathroom. It can also help you make your shower more accessible and easier to maintain. What is universally true is that a new shower should meet the needs of your changing household. Contact Quality Glass Inc. today to ask us about shower door installation in the Jackson, MS area or anywhere in Central Mississippi.